The Audi RS 3 was specifically developed for the U.S. market and is the entry point into the RS lineup. 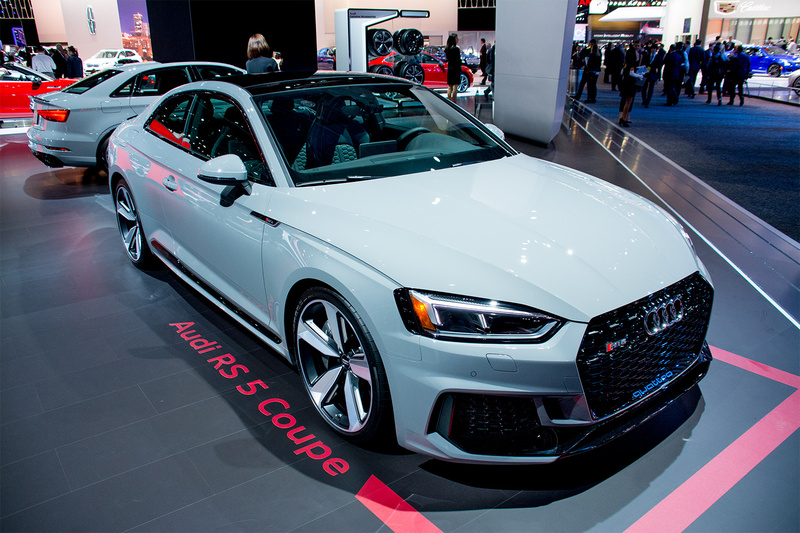 The RS3 and TT RS both have the all-new incarnation of the much-loved 2.5-litre 5 cylinder engine that produces 400 hp and 354 lb-ft of torque. With its 7-speed S tronic dual-clutch transmission and quattro all-wheel drive, the RS3 accelerates from 0-60 mph in just 3.9 seconds. 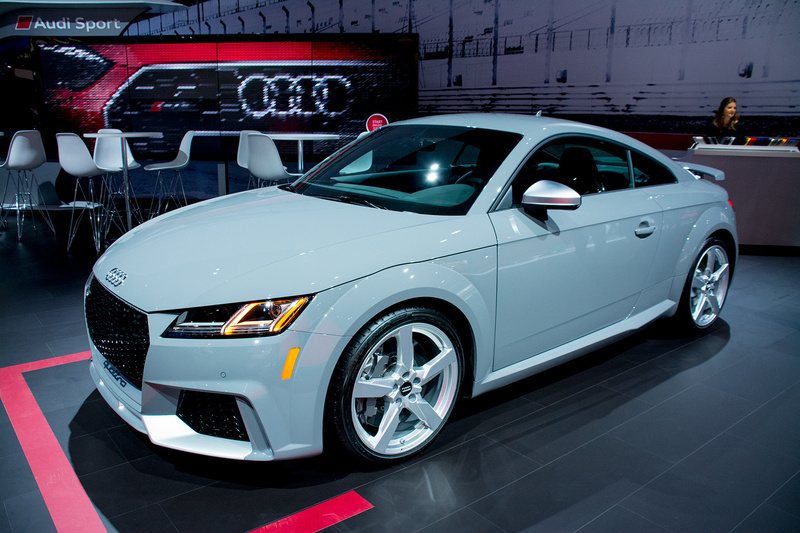 The TT RS will sprint from 0-60 mph in 3.6 seconds. 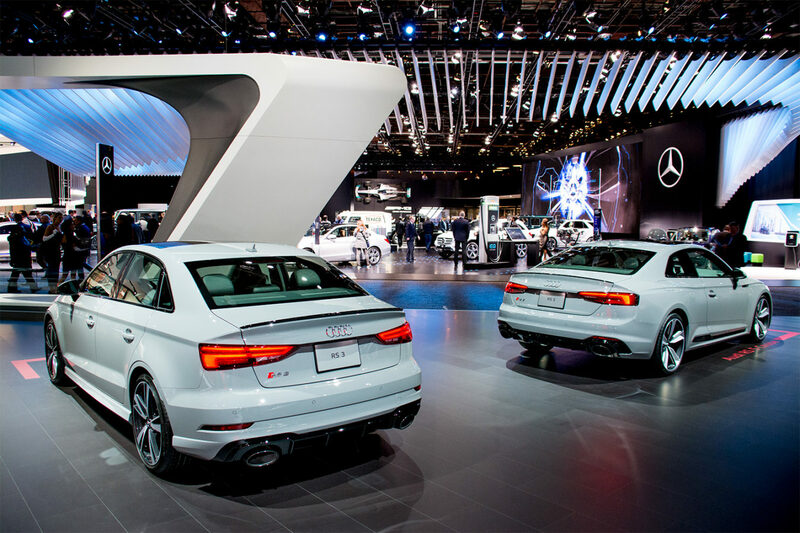 The RS5 uses a new 2.9-liter twin-turbocharged V6, which can launch the car from 0-60 mph in under 4 seconds. Our Take: It is great that the RS3 has been added to the Audi performance lineup as it allows more budget conscious buyers entry into the RS brand and delivers serious levels of performance. 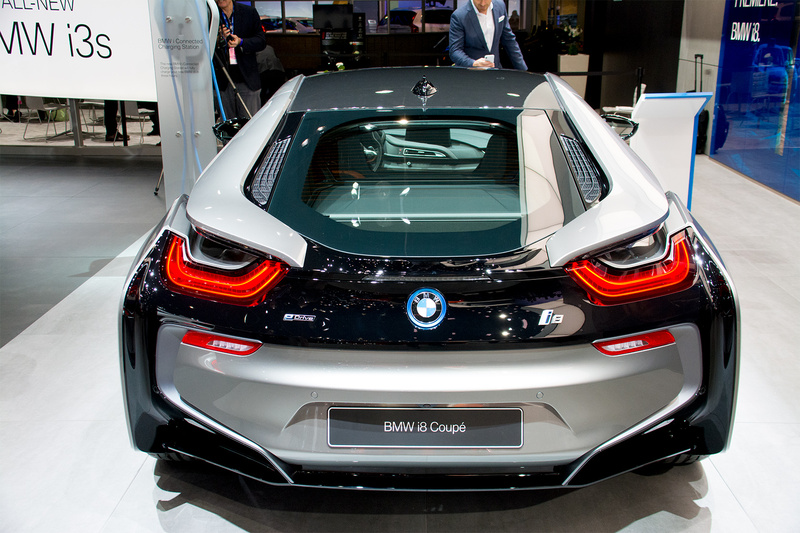 The 2019 BMW i8 Coupe made its world debut at the North American International Auto Show. It has increased power and range over its predecessor with 369 hp (+12 hp) and 184 lb-ft. It will accelerate from 0-60 mph in 4.2 seconds (preliminary) with a top speed of 155 mph. The lithium-ion battery’s cell capacity is up from 20 to 34 Ah. Also on hand was the beautiful new i8 Roadster, which made its world debut at the Los Angeles Auto Show in November 2017. The BMW i8 Roadster features a retractable fabric soft-top, which can open and close in 16 seconds and while travelling at speeds up to 31 mph. 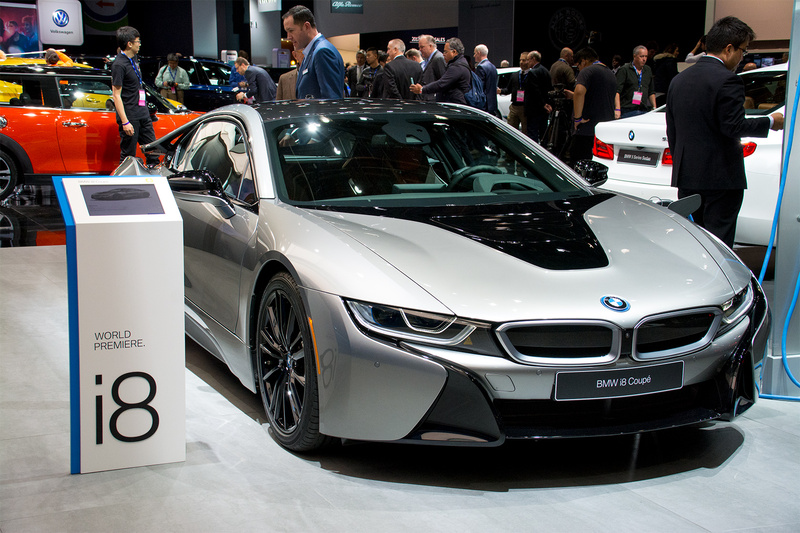 The new i8 Coupe and Roadster will be available in spring 2018. 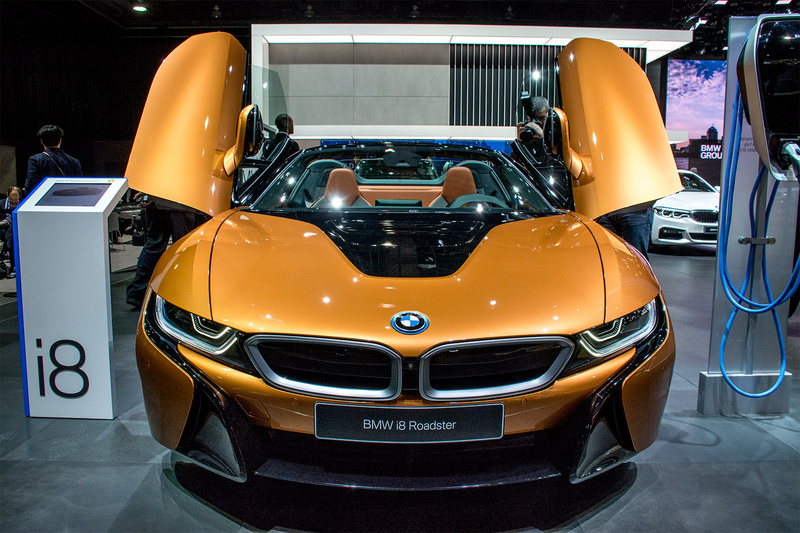 Our Take: The BMW i8 Roadster is a show-stopper with its top down and doors up, appearing as though it is ready to take flight. 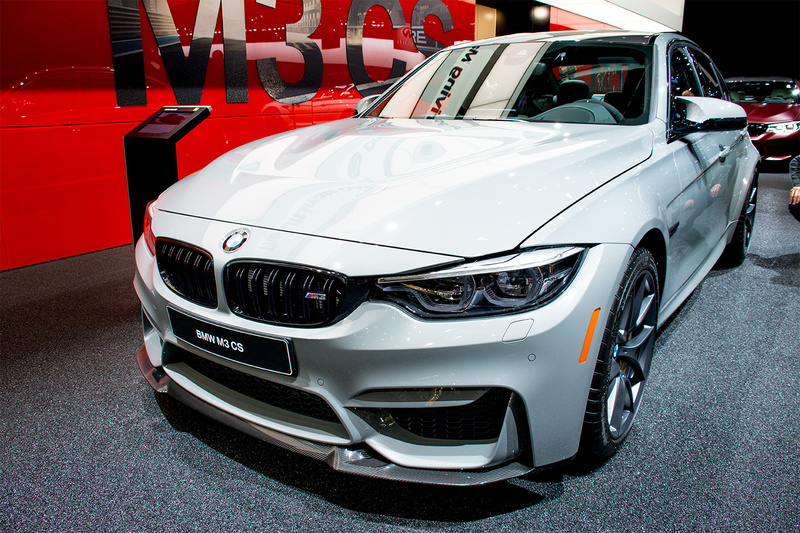 The muscular and purposeful-looking BMW M3 CS is limited to just 1,200 units worldwide. The M TwinPower Turbo 6-cylinder inline engine has been tweaked to generate 453 hp (+28 hp) and 443 lb-ft of torque (+ 37 lb-ft). 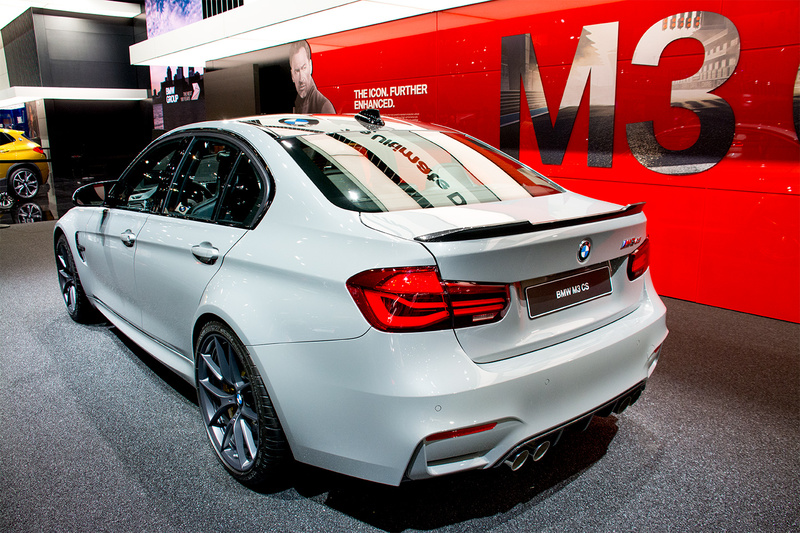 The M3 CS will accelerate from 0-60 mph in just 3.7 seconds and has an increased top speed of 174 mph. it is also equipped with an M Sports exhaust featuring CS-specific sound tuning, a carbon fiber-reinforced plastic (CFRP) roof, front splitter, Gurney Flap and a rear diffuser. 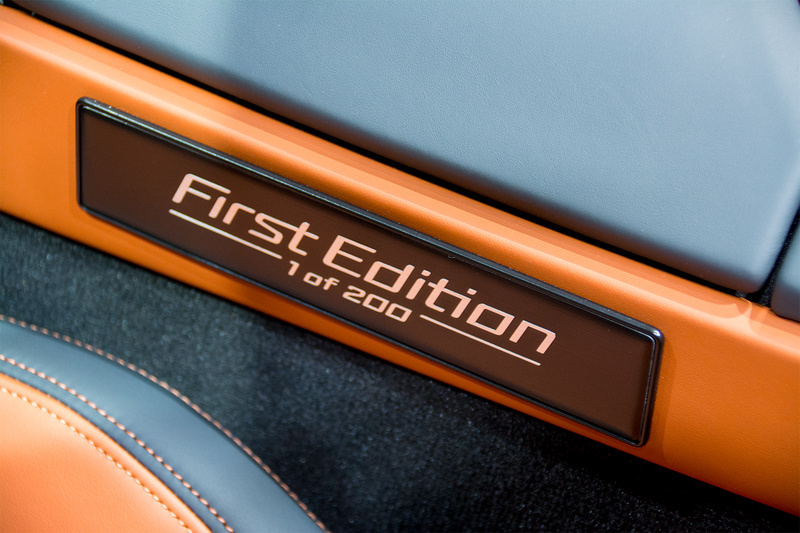 Exclusive interior features include Alcantara and two-tone full leather. We will start seeing them in action on the road in the US starting in May of this year. 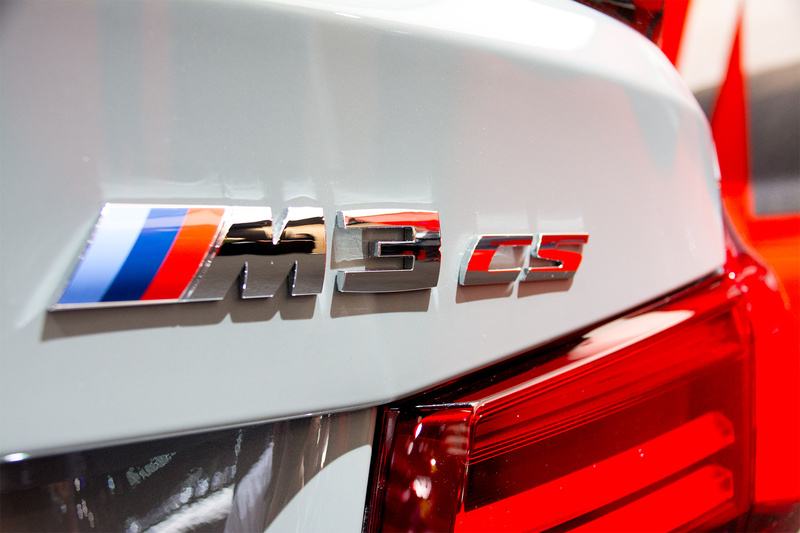 Our Take: The CS succeeds in subtly adding performance and presence to this German muscle car. 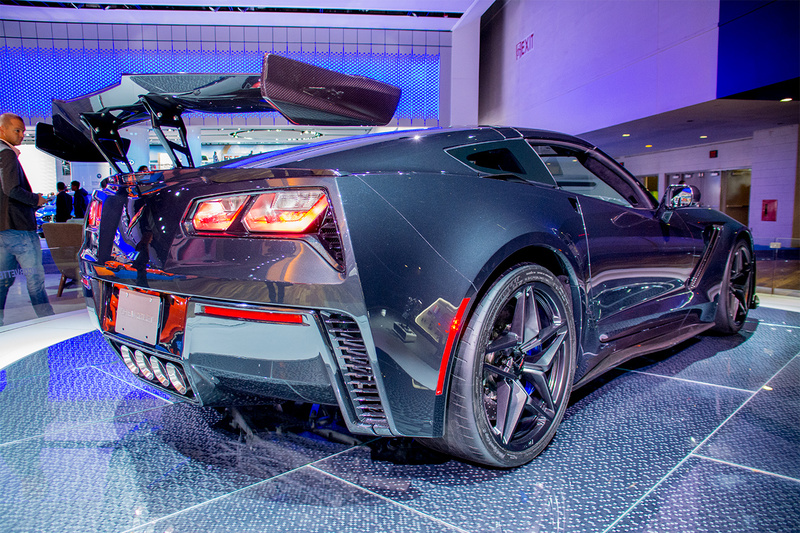 The Corvette ZR1’s LT5 6.2 litre V-8 supercharged engine generates a staggering 755 hp and 715 lb-ft of torque. Available are two aerodynamics packages, which include a wing that will create an estimated 950 pounds of downforce. Attempting to manage all of that horsepower and torque can be accomplished through either a 7-speed manual or an 8-speed paddle-shift automatic transmission. The top speed of the ZR1 is 210 mph. 0-60 mph is expected to be under 3 seconds. 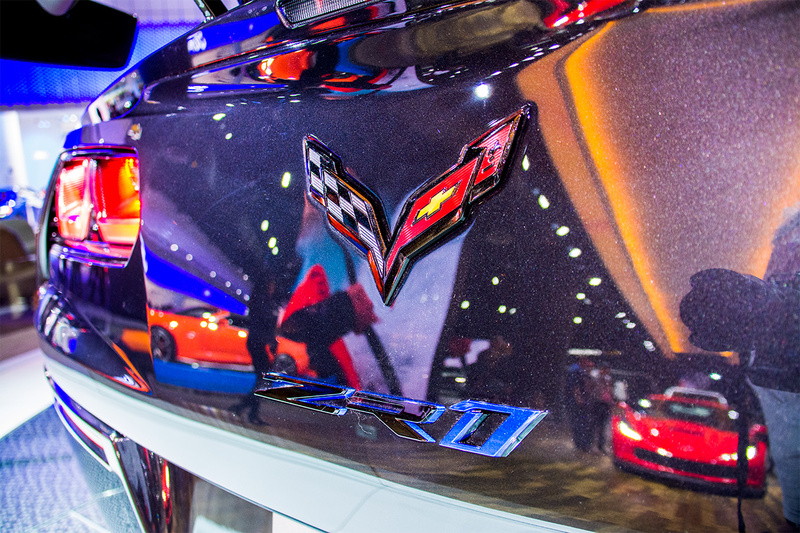 Our Take: We cannot predict the future, but this could end up being the most powerful Corvette ever. 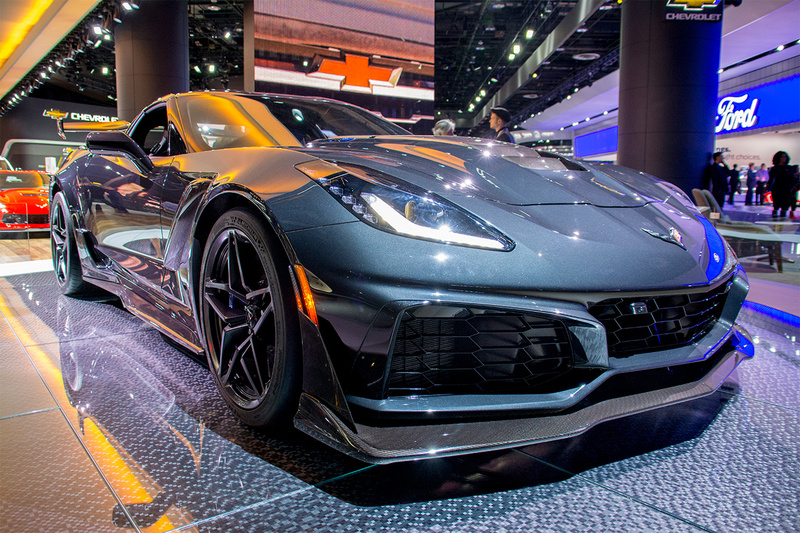 It is hard to image that the next gen ZR1 could have 800+ hp and 800+ lb-ft of torque, but we can always hope. 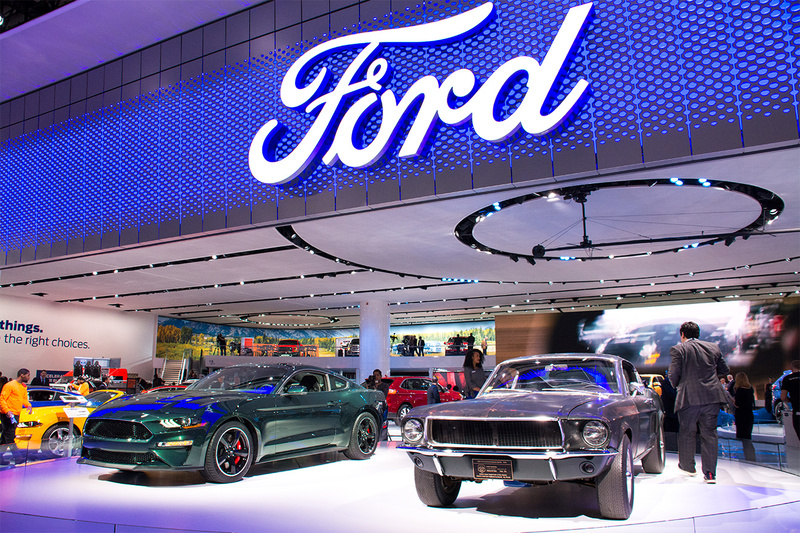 This year, Ford is celebrating the 50th anniversary of iconic car chase movie, Bullitt, which starred both Steve McQueen and a dark green fastback Mustang. In honour of the anniversary, Ford has delivered the world premiere of the 2019 Mustang Bullitt. Also on hand: the original 1968 Mustang GT fastback from the movie, a car whose whereabouts was unknown for the past 40 years. The new limited-edition Mustang Bullitt features a 5.0-liter V8 engine with “at least” 475 horsepower and 420 lb.-ft. of torque. It has a top speed of 163 mph (+8 mph over the GT). It is available in the classic Dark Highland Green or Shadow Black exterior with subtle chrome accents. Interior highlights include a 12-inch all-digital LCD instrument cluster and available Recaro black leather-trimmed seats with green accent stitching. Wheels are the appropriate torque thrust 19-inch rims with red painted Brembo brakes. It also features a unique black front grille. The Mustang Bullitt is equipped with a manual transmission with a white cue ball shift knob, as seen in the original movie. You’ll see the Bullitt Mustang hitting the streets of San Francisco and elsewhere this summer. Our Take: If you are a fan of the original Bullitt Mustang, then owning this generation’s tribute car should thrill with every gear change of the white cue ball shifter. The much lauded Honda Civic Type R remains unchanged for 2018. It comes standard with a 306 hp 2.0-liter DOHC direct-injected VTEC Turbo engine that generates 295 lb-ft of torque and remains the most powerful Honda ever sold in North America. 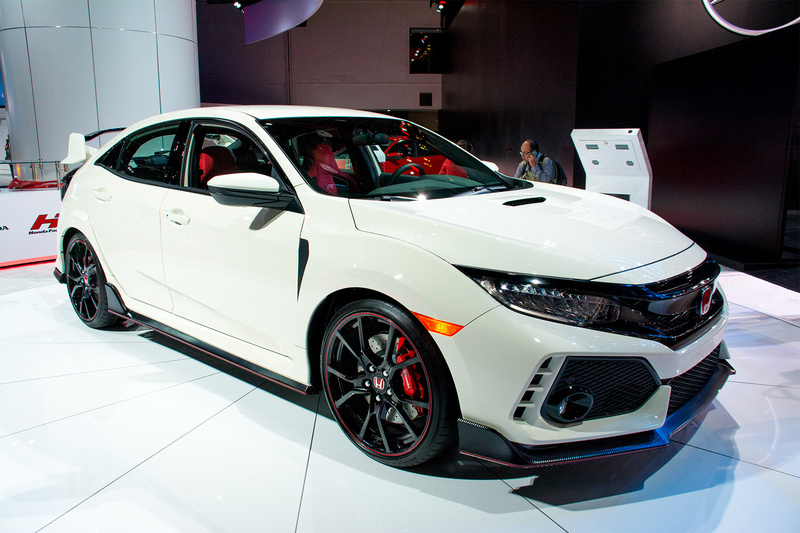 The 2018 Type R is available in one fully equipped trim with a short-throw 6-speed manual transmission, limited slip differential, Adaptive Damper System and dual-axis strut front suspension design that virtually eliminates torque steer. The Adaptive Damper System continually adjusts damping force at all four corners and is tied into the Three-Mode Driving System with comfort, sport and track-focused +R modes. Our Take: This remains one of the most praised and hardest-to-obtain hot hatches on the market today — we know because we placed our order in 2016 and still don’t have our Type R.
Christian von Koenigsegg and the actual Koenigsegg Agera RS that set 5 world speed records, made their appearance at the North American International Auto Show. This Agera RS, driven by factory driver Niklas Lilja, set five new world records for a production vehicle in 2017, including highest top speed for a production vehicle of 447.19 km/h (277.87 mph); fastest 0-400-0 kilometers per hour of just 33.29 seconds; and highest speed achieved on a public road of 457.94 km/h (284.55 mph). The Agera RS looked fast and extremely purpose-built just sitting there. Its engine generates 1,360 hp. 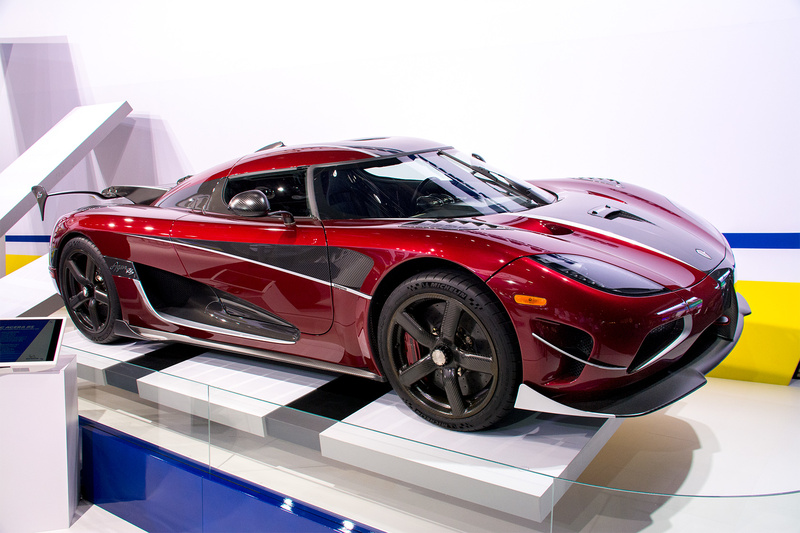 Our Take: Christian von Koenigsegg is one of the nicest and most understated supercar creators in the world who continues to deliver unimaginably fast hypercars. 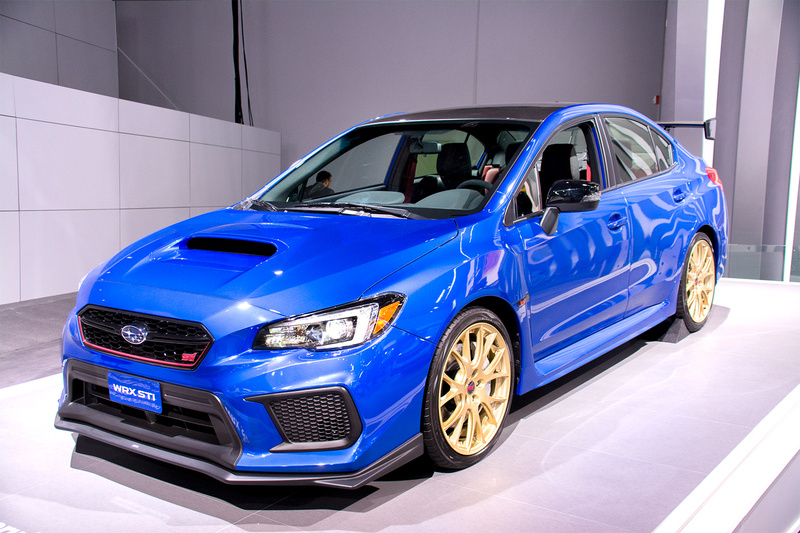 The new 2018 Subaru WRX STI Type RA (for “Record Attempt”) will be limited to just 500 individually numbered units and will be available starting this spring. 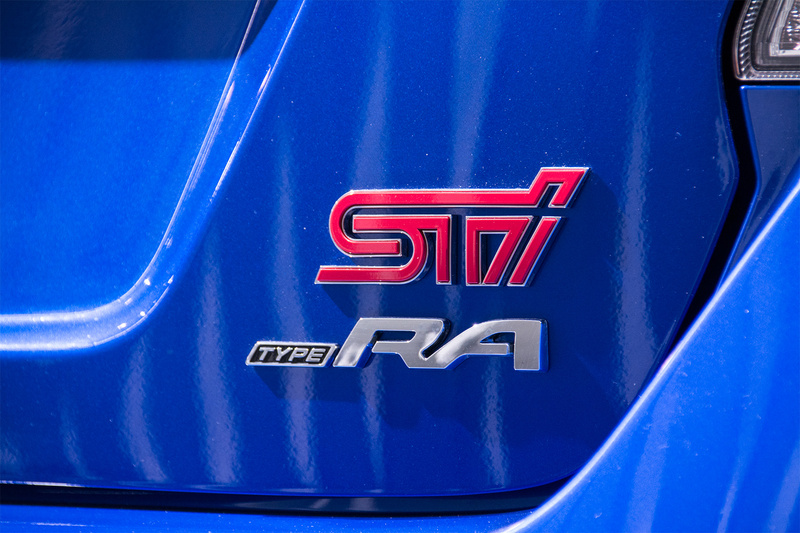 The WRX STI Type RA offers increased performance through weight reduction and engine upgrades. It has a 310 hp (+5 hp) 2.5 litre flat-four boxer engine, new lightweight BBS 19” forged alloy gold rims, STI-tuned suspension with Bilstein dampers, a carbon fibre roof with a huge carbon fibre adjustable rear wing and can be had in classic World Rally Blue, Crystal Black or Crystal White. Unfortunately, most or all of the 500 RAs may have already been scooped up. 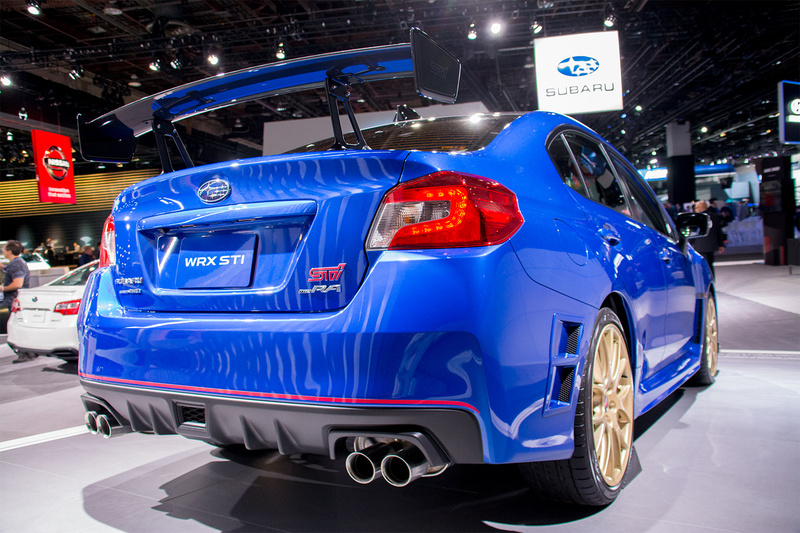 Our Take: We think this is one of the best-looking factory delivered WRX STIs to date. We would love to have one parked in our driveway, ready for an onslaught of track days (and taking on winter’s worst with a set of snow tires). PHOTOGRAPHS and VIDEOS © Copyright 2017-2018 TrackWorthy Group Ltd.